On the NAO Blog: Can better service bring in more tax revenue? "HMRC’s overall strategy of using digitally enabled information to improve efficiency and deliver service in new ways make sense to the NAO. This does not change the fact that they got their timing badly wrong in 2014, letting significant numbers of call handling staff go before their new approach was working reliably. This led to a collapse in service quality and forced a rapid expansion of headcount. HMRC needs to move forward carefully and get their strategy back on track while maintaining, and hopefully improving, service standards." 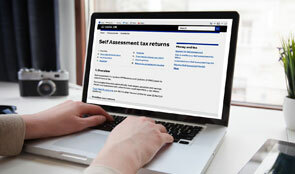 HMRC’s digital strategy aims to improve the efficiency and quality of its customer services by moving more personal taxpayers online thereby reducing demand for more costly to handle telephone and postal contact. HMRC, through substantial staff reductions, decreased the cost of its personal tax operations between 2010-11 and 2014-15 by £257 million. Today’s National Audit Office report finds that while HMRC maintained or improved customer service up to 2013-14 it then misjudged the cumulative impact of its complex transition and released too many customer service staff before completing service changes. The NAO found that the quality of service provided by HMRC for personal taxpayers collapsed in 2014-15 and the first seven months of 2015-16 when average call waiting times tripled. Services have subsequently improved following the recruitment of additional staff but whether this performance is sustainable depends on HMRC achieving successful outcomes from its programme to make tax digital. Between 2010-11 and 2014-15, HMRC cut staff in personal tax from 26,000 to 15,000. To achieve the reductions, it planned to increase automation of the PAYE system, operate on a more flexible basis so staff could move between different services, and move customers from traditional channels to less expensive contact through the expansion of digital services. HMRC expected to have reduced demand for contact with customers towards the end of the spending review period. It introduced two new services, automated telephony and paperless self-assessment, in 2013-14, but demand for telephone advice did not fall. To live within its budget, it released 5,600 staff from personal tax in 2014-15, reducing customer service capacity. HMRC believes it was over-optimistic about the cumulative impact of the change and had not built sufficient contingency into its plans. NAO analysis indicates that the quality of service deteriorated in 2014-15 when the full extent of the staff reductions took effect. Call attempts handled fell to 71% overall, and HMRC met its target to handle 80% of call attempts in only 10 weeks of the year. HMRC’s performance deteriorated further over the first 7 months of 2015-16. Average waiting times tripled compared to 2014-15 levels, peaking at 47 minutes for self-assessment callers during the deadline week for paper returns in October 2015. HMRC recognised and dealt with the problem, recruiting 2,400 staff to the taxes helpline in the autumn of 2015. Performance has since recovered: call waiting times improved to an average of 5 minutes for self-assessment callers during the deadline week for online returns in January 2016. HMRC had to move more staff to its call centres to help sustain service levels in 2014-15, which meant it had to defer essential work to maintain PAYE records. The stock of outstanding discrepancies in tax records requiring investigation rose from 2.4 million (March 2014) to 4.6 million (March 2015). Of these items, 3.2 million were high priority cases, carrying a risk that employees will have paid the wrong amount of tax. The recruitment of extra staff helped reduce the total number of unresolved items. By December 2015, HMRC had reduced the stock of unresolved PAYE items to below 3 million. The NAO found that call waiting times increased significantly between 2012-13 and 2015-16. As a result, the overall cost to telephone customers, taking into account both the cash cost of calls and the economic cost of time on the phone, rose by more than half. Average waiting times for self-assessment callers to the taxes helpline were below 10 minutes for most of 2012-13 and 2013-14 but grew progressively longer throughout 2014-15 and the first 7 months of 2015-16. Customers waiting for an advisor at busy times have faced a long wait, sometimes over an hour. The NAO estimate that the overall cost incurred by customers who have called the taxes helpline increased from £63 million in 2012-13 to £97 million in 2015-16. Customers paid £2 million less in call costs because HMRC reduced call charges by moving to local-rate ’03’ telephone numbers in September 2013. But an increase in the economic cost of time spent waiting for an answer or speaking to an advisor more than offset this saving. When compared to HMRC’s data on the annual cost of answering calls, the NAO estimates that the increased cost to customers was £4 for every £1 saved by HMRC over this period. Most taxpayers appear satisfied with HMRC services but one in five rate them poorly. An NAO survey of customers using HMRC services found 58% rated the service as good or excellent, 21% as average and 21% rated it as poor or terrible. Satisfaction was highest among those whose most recent contact with HMRC had been online, and lowest among those whose most recent contact had been by phone. The quality of service experienced by taxpayers may have an impact on compliance. HMRC has stated before that while it believed customer service and tax compliance were inextricably linked there was no evidence that recent spells of poor service had impacted on tax revenues. In focus groups it commissioned most people rejected a link. Its survey has found that customers who have a more positive experience of its service are more likely to think evasion is unacceptable. The NAO found that most taxpayers it surveyed who had contacted or interacted with HMRC said the information or support HMRC provided helped them to get their tax right. The NAO found taxpayers who had a positive experience were also more likely to think HMRC would detect tax evaders.